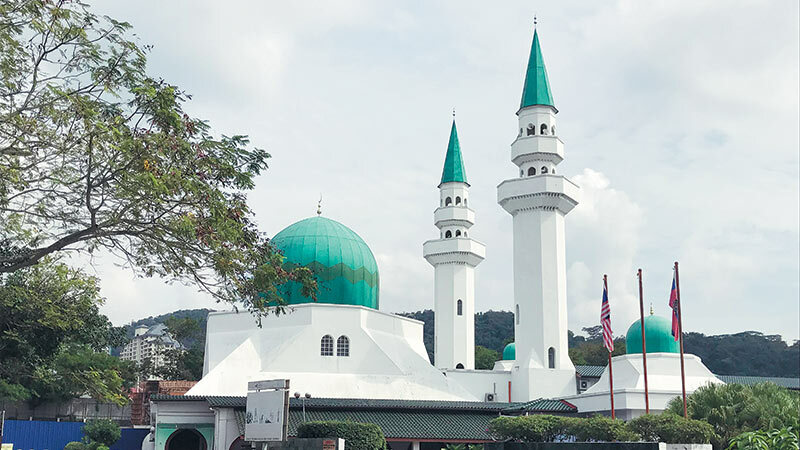 The At-Taqwa Mosque is one of the landmarks in the area. Leafy trees line the road. 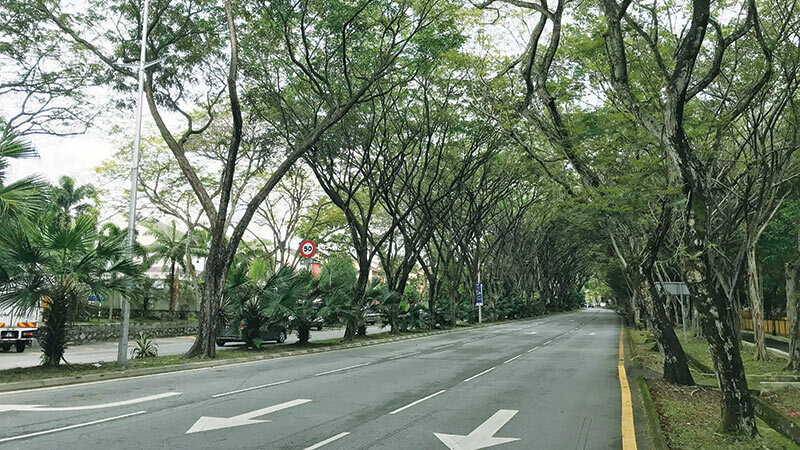 The first thing one notices upon turning onto Jalan Datuk Sulaiman in Kuala Lumpur are the tall, mature, leafy trees lining the road. Their long branches arch over to shade road users from the intense sun, offering a welcome respite and restful sight of what would otherwise be a nondescript urban area. 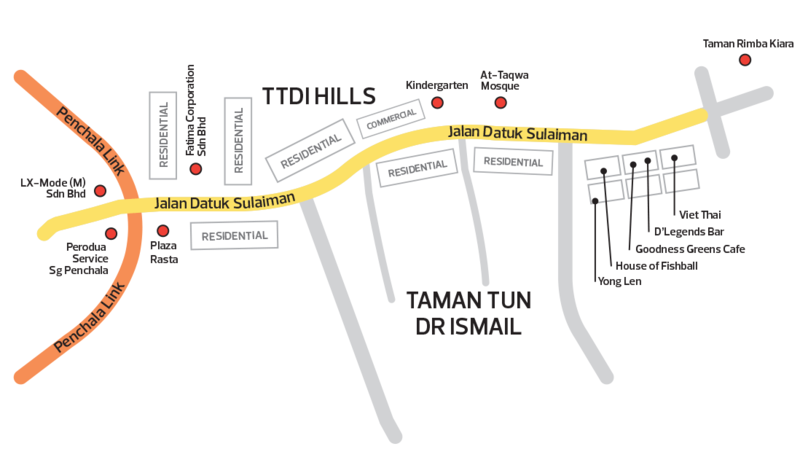 Jalan Datuk Sulaiman is a major artery in the affluent residential township of Taman Tun Dr Ismail (TTDI), which was developed by TTDI Development Sdn Bhd in 1974. In recent times, other companies have developed select projects in the area, such as Bellworth Developments of The Greens condominium. The road takes its name from former Malaysian high commissioner to Australia Datuk Suleiman Abdul Rahman, who was also a brother of our second deputy prime minister Tun Dr Ismail Abdul Rahman, after whom the township was named. At the northern end, the relatively straight 2.5km road joins Jalan Sungai Penchala and the Penchala Link interchange, which is part of the Sprint Expressway; at the opposite end, it connects to Jalan Tun Mohd Fuad, which leads to Taman Rimba Kiara. The green lung came under the public spotlight in 2016 when TTDI residents protested against a high-rise project that would take up a huge expanse of the park. In anticipation of an increase in population and traffic due to the project, the previous government had proposed a six-lane highway and a flyover, which would require Jalan Datuk Sulaiman to be expanded. The plan was met with vociferous protests from the residents and has been shelved. The road is flanked by streets that lead to mainly residential and commercial buildings. There is a major commercial square at the southern end. The shops facing the road are mainly restaurants. During the day, the area is busy and parking is rather hard to find. A famous shop offering hawker food is Yong Len, found around the corner. Every day, more so during the weekend, the coffee shop will be packed with the regulars and the health-conscious crowd who hike up the nearby Kiara Hill, tempting them with prawn noodles, char kuay teow and chicken rice, among others. 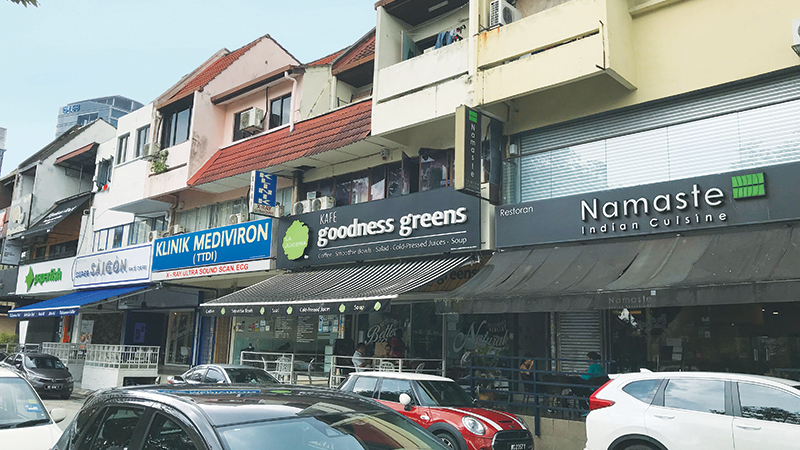 Eddy Wong, managing director of Nawawi Tie Leung Real Estate Consultants Sdn Bhd, says the shoplots in that commercial area were transacted at between RM3 million and RM5 million for the past three years. The landed houses along the road exude an air of exclusivity and serenity, thanks to the surrounding greenery. Wong says the houses were built some 30 years ago and recent transaction prices vary substantially, depending on the condition of the houses, whether they were renovated and the size of the land. Intermediate 2-storey terraced houses would generally sell for between RM1.5 million and RM1.8 million; corner lots are slightly above RM2 million; semi-detached houses, around RM3 million; and bungalows, from RM4.5 million. As for the area’s prospects, he says they are good as it is a well-planned, centrally located and mature housing estate with good access to public amenities such as a wet market, shops that offer a wide array of dining options and other services, and a mass rapid transit station (Taman Tun Dr Ismail MRT Station). “TTDI has a homely ambience with its mature trees and lush greenery. Connectivity is good as well with convenient access to Penchala Link, Damansara-Puchong Expressway and New Klang Valley Expressway,” says Wong.